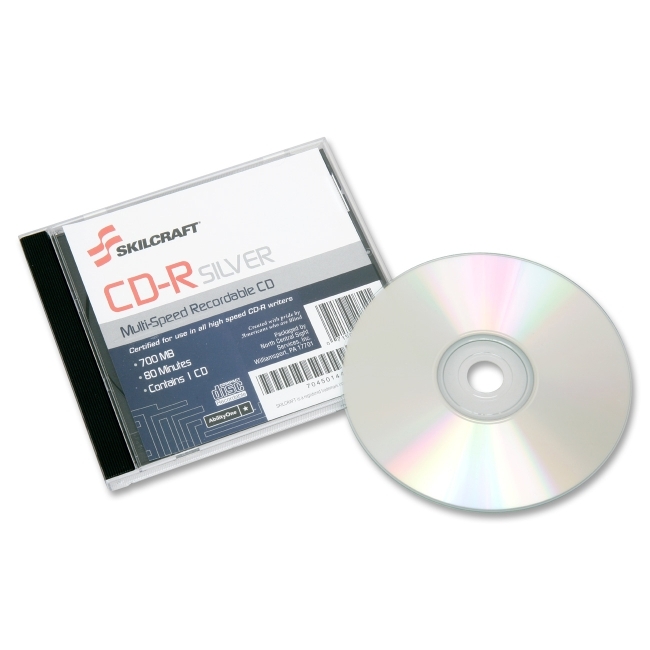 Use recordable CD-Rs for data archiving, data distribution, data storage and more. Each write-once disc holds up to 700MB or 80 minutes and is compatible with leading CD writers and readers. Multispeed recordability ranges up to a 52x record speed. Disc surface is thermal printable. CD-Rs come in jewel cases that each fit a single disc. Packaging is made using a high percentage of post-consumer recycled material.